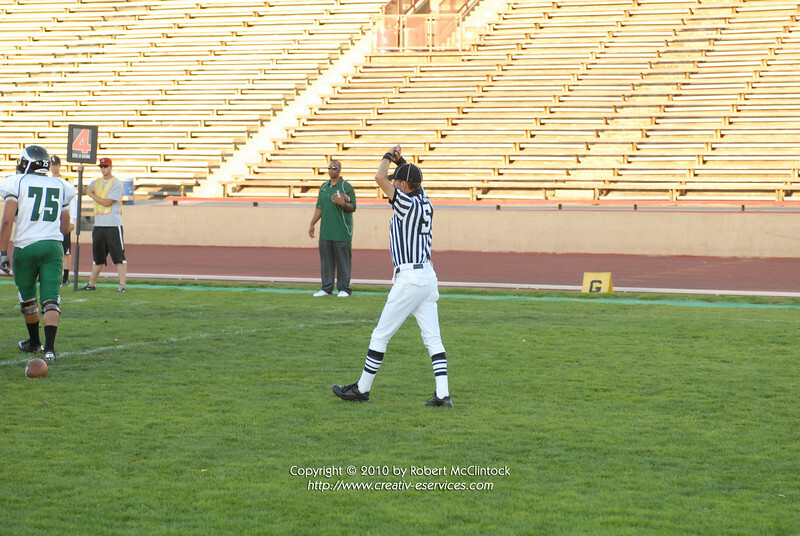 Photos of the officiating team from the Sacramento City College game at Hughes Stadium, Sacramento, California, October 09, 2010. Please remember to give credit to "Photo by Robert McClintock Copyright (c) 2010" on all photos used. To buy prints or merchandise, click on the "Buy" button just over the larger photo on the right.